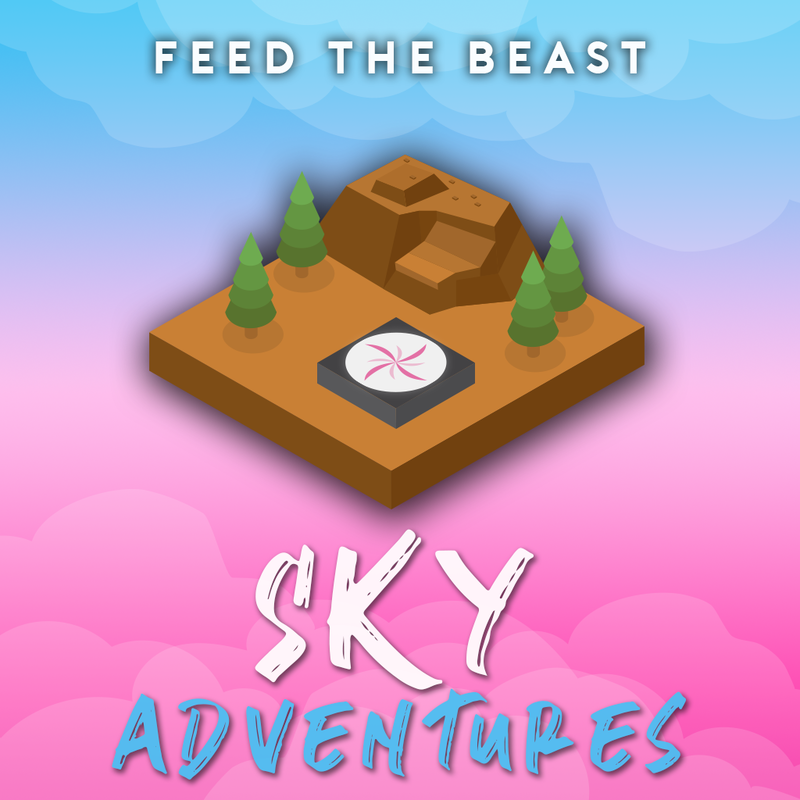 FTB Sky Adventures is a large 1.12 modpack with a mix of tech and magic mods using a new questing system, FTB Quests. This pack is centered around Project-E for resource gathering after acquiring your raw resources with Ex Nihilo in early game. Quests are not forced progression so the route you take is up to you. For the first time in a FTB pack we focus on fun, fast progression if the player chooses to. Get loads of resources and blocks quickly to build the ultimate sky block base. Dive deep into the tech and magic trees of all mods, and even explore bee breeding! Trust me, it pays well! Multiplayer support is integrated into the server files. Simply launch and login! Join a FTB Utilities Team or create your own to be instantly teleported to a brand new island with player spawn point being automatically set. If joining an existing team then you are teleported to that island and added to that team. FTB Quest integrates with teams for progression and rewards. The players questing progression is locked to the island/team as well as their inventory. When starting over on a new island or joining a different team, all questing progress of that player is reset and inventory is deleted before auto teleporting to new island/team. For server admins each island is centered in one region file so troubleshooting issues or deleting old islands is a breeze. There is no limit on team/island creation by default.